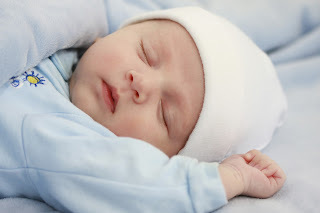 Dr.Malpani's Blog: What will my donor egg IVF baby look like? One of the biggest concerns which patients who do donor egg IVF have is - What will my baby look like? They have to take a major leap of faith, because they don't get a chance to see what the donor looks like. They major worry is - Will my baby resemble me , or will people know that I've used donor eggs? Will my baby be intelligent ? Will my baby behave the way I do? It's normal to have lots of concerns, ICMR rules in India don't allow us to show photographs of egg donors, because egg donation in India has to be confidential and anonymous. That's why we reassure patients, and tell them that by using frozen donor eggs, we can match physical traits. However, at the end of the day, it's impossible to predict what a child look like - after all, biological siblings don't looks like each other either ! You can read more about our donor egg IVF program at http://donoreggs.in ! However, at the end of the day , your child will pick up your behavior, your habits, your mannerisms, because you're bringing up your child. This is why siblings resemble each other - not because of their physical traits , but because they imitate their parents, and absorb the way they talk, smile, and behave . After all, let's not forget that husbands and wives also start resembling each other after some years as well !